The book Revealed At Last has been out of stock for a short time. While it was out of stock some people were trying to capitalize on its lack of availability. 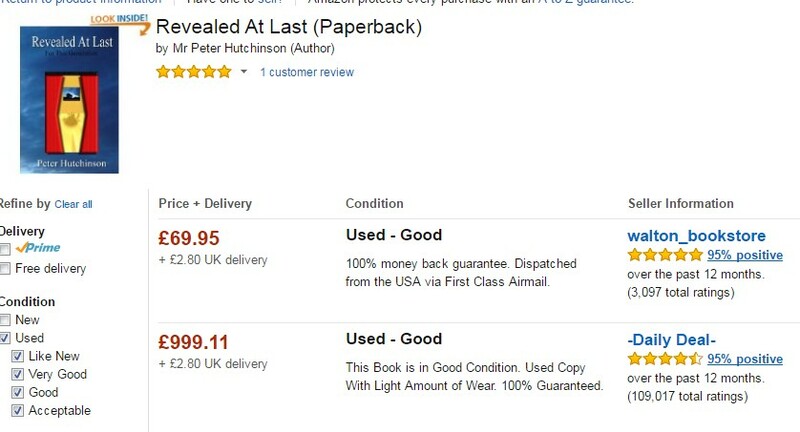 On the Amazon site in the UK someone was selling a used copy for £69.95 (US$85.65) while another was charging an astonishing £999.11 (US$1223.31) also for a used copy. The book is now available on a different site that I use now at the much lower retail price. Revealed At Last by Peter Hutchinson Click Picture.